Which is your favorite? Chobits? X? 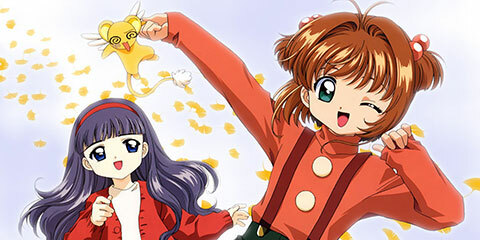 Cardcaptor Sakura? xxxHOLIC? What about Clover and RG Veda? Well, Japan's favorite quartet of manga artists have just turned fifteen, and to celebrate, CLAMP is releasing a monthly magazine, CLAMP no Kiseki. Let us take a retrospective look back and into the future of one of the most famous and prolific names in the world of manga. Tired of the same old sword fights? Ghost stories starting to bore you? Bleach take both of those time-honored plot devices and combines them into a show that is simply out of this world! Let spirit-seeing Kurosaki Ichigo and his high school pals show you just how an exorcism is supposed to be done! Join Animefringe as we go inside Bleach and have you saying, "I see dead people" in no time flat! In 2004, Oni Press released Scott Pilgrim's Precious Life Vol. 1, a graphic novel following the life of Scott, a happy-go-lucky guy who has just met the girls of his dreams. Unfortunately for Scott, going out with her means that he has to fight her seven evil, super-powered ex-boyfriends. The creator of Scott Pilgrim, Bryan Lee O'Malley, talks to Animefringe about the series and his inspirations for it. Takashi Nakamura's masterpiece finally arrives for the theatre in your living room! Using the timeless story of Pinocchio, Nakamura crafts a beautiful allegorical tale of the strength of human spirituality over physical limitations. It's time to take your hands off the controller, as the beautiful boys of a girl's love sim step out into their own. In Meine Liebe, the love interests are bountiful, and there are no longer any NPCs to ruin that perfect ending. Sony's amazing first handheld has just hit the States, and Animefringe is here to tell you all about it! Is it good enough to gain a solid position in the market? Others have tried, but few have truly succeeded. Still on the fence? Join us as we we take the system through the paces! The Gateway to the West has certainly hosted some fine comic book and sci-fi conventions over the years, but 2005 marked the first time that a true anime and manga convention has made its way to the shadow the Arch. With the success of this year's Kunicon, it won't be the last. Patrick just can't get away from Final Fantasy music as he talks shop with the cosplaying pianist Piano Squall! Earth girls are easy; otaku girls, not so much. Drinks take the stage this month in a myriad of tastes and textures. Join Aaron as he uncovers the true meaning hidden deep with in the highly dramatic song "Gravity."